Last week in Cabo was outstanding. It was so nice to feel the warmth of the sunshine and listen to the ocean waves on a daily basis. Especially knowing it was frigid and rainy back home in Houston. Like most vacations I started the trip maintaining my healthy eating. But a few days in and pina coladas, chips & guac and fries were daily indulgences. Coming home to an empty fridge meant eating out a lot more than usual once we got home. It’s weird but it just didn’t feel right to eat out so much. 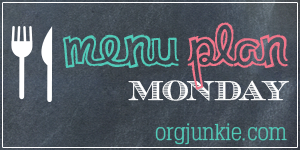 I’m definitely craving some home cooked meals, which is what this week’s menu is filled with.